Welcome to Salvador, capital of the state of Bahia. Situated on a peninsula overlooking Todos los Santos Bay, this is thought by many to be the “Soul of Brazil.” Your hotel is available for mid-afternoon check-in. Private guided SIGHTSEEING showcases the Upper City. View the district’s well-preserved 17th and 18th-century buildings, representing some of the finest colonial architecture in all of the Americas and a UNESCO World Heritage Site. Visit the 17th-century Jesuit CATHEDRAL; the baroque CHURCH OF ST. FRANCIS; and the AFRO-BRAZILIAN MUSEUM, housing objects highlighting the strong African influence on the Brazilian culture. The balance of your day is free to explore. This morning, possibly visit the Mercado Modelo, a must for securing wonderful souvenirs and experiencing the true Bahian life. Later, transfer to the airport for your flight to Rio de Janeiro, South America’s capital of glamour! Your Local Host will be available with suggested activities during your free time. Today, a private tour takes you to the Cosme Velho district, where you board a cog-wheel train that will take you through the lush tropical vegetation of Tijuca Forest to the top of CORCOVADO Mountain. This rounded peak rising 2,300 feet from the bay below is one of the new Seven Modern Wonders of the World and home to the iconic statue of Christ the Redeemer. Enjoy a breathtaking 360-degree panorama, which affords sweeping views of the city and beaches below. The afternoon and evening are at leisure. Enjoy a full day at leisure. 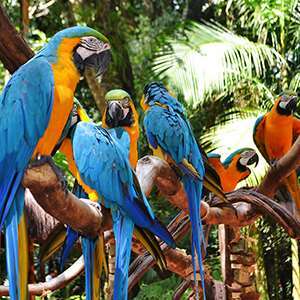 Your Local Host will suggest an optional Jeep tour to the rainforest in the middle of the city, Tijuca National Park and its bird sanctuary. 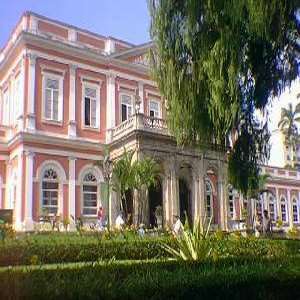 This afternoon you may elect to discover historic Petropolis, a mountain resort and site of the former summer palace of Emperor Dom Pedro II, or take an optional excursion to visit the iconic Sugar Loaf Mountain. Fly to IGUASSU FALLS. This masterpiece of nature encompasses 275 separate falls and spans almost two miles. This afternoon’s private tour is dedicated to enjoying the spectacle of this 2-mile-wide torrential downpour from the Brazilian side. This morning, take the ECOLOGICAL JUNGLE TRAIN and tour the Argentine side of IGUASSU FALLS with numerous walkways that wind under the crashing water. Fly to Buenos Aires, proud capital of the vast country that occupies most of the southern part of the continent. After arriving at your central hotel you will have time to become acquainted with the “Paris of South America” and its wide boulevards and outdoor cafés. Enjoy an evening at leisure. A private sightseeing TOUR this morning starts in the colorful La Boca district, site of the city’s first port. Take a short walking tour of this unique neighborhood, then on to San Telmo, famous for its late-colonial buildings and a popular gathering spot for artists. At the Plaza de Mayo, see La Casa Rosada (the President’s Pink House) and the Metropolitan Cathedral, which houses San Martin’s Mausoleum. Drive past the ornate Colon Opera House before reaching the CEMETERY of the Recoleta, burial site of Eva Peron. This evening, perhaps savor the city’s atmosphere on an optional dinner at a local restaurant, followed by a performance of Latin America’s most sensuous dance—the Tango! Today is at leisure. Your Local Host will suggest an optional excursion to the Pampas. 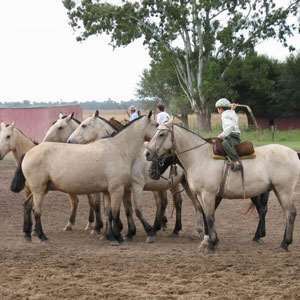 Experience Argentine country life as you visit an estancia (ranch). Get acquainted with the lifestyle of the gauchos and enjoy a barbecue lunch and the warm hospitality of your hosts before returning to the city. 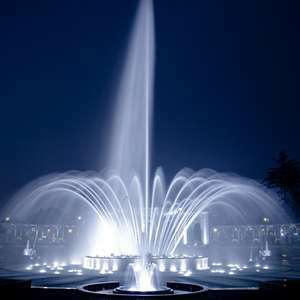 Transfer to the airport for your flight to Lima, where you will be met by your Local Host. Fly to Cusco high in the Andes. Your guided TOUR visits the Santo Domingo MONASTERY, previously the Koricancha Temple, one of the most important temples devoted to worship of the sun. It is said it was covered in gold leaf and filled with golden representations of nature. In the Plaza de Armas, see the Cathedral before taking a short drive outside the city to the ruins of SACSAYHUAMAN with its intricate stone walls, amphitheatre of KENKO, and the Red Fortress of PUCA PUCARA. Today, a short drive into the Sacred Valley of the Incas brings you to AWANAKANCHA, where you will learn about the importance of the alpaca (llama) for Inca cultures as well as the ancient weaving techniques. Continue, to the market town of PISAC. Handmade rugs, alpaca sweaters, and jewelry can be bought here at bargain prices. At the other end of the valley is OLLANTAYTAMBO. 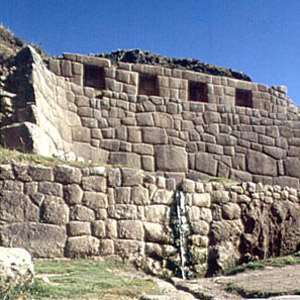 Here, some of the finest examples of Inca masonry can be seen. A morning at leisure in Machu Picchu allows you to wake up early to see the sunrise over MACHU PICCHU with your second included entrance to the ruins. Return to Cusco, where your Local Host will recommend options for your free time. 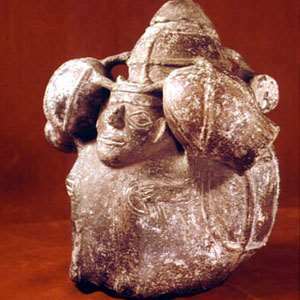 Perhaps visit the Inca Museum or wander through the artisan district of San Blas. Fly to Lima, where the remainder of the day is at your leisure. 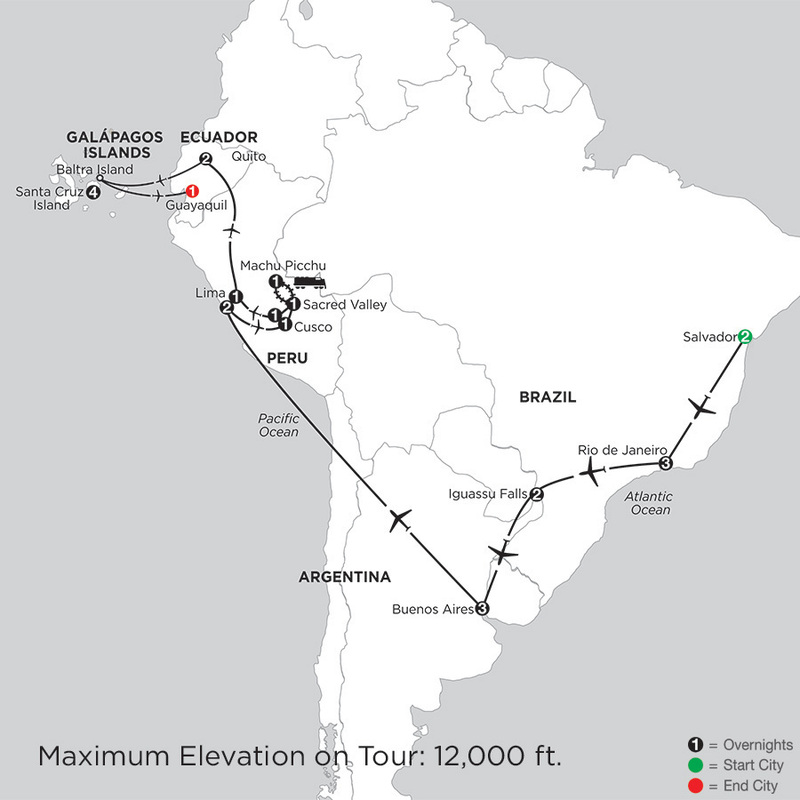 Fly to Quito, where you will be met by your Local Host. Ideally located near Salvador's historic center, Wish Salvador Hotel Da Bahia features a large outdoor swimming pool, fitness room, contemporary restaurant and bar, relaxing spa, and rooftop deck with a soaking pool, pool bar, and stunning city views. The hotel's interior is beautifully appointed with restored works of art by Brazilian artists Carybé and Genero de Carvalho. Located near the historic city center, Arena Fonte Nova, museums, theaters, and All Saint's Bay. Simple and sophisticated rooms feature a flat screen TV, modern bathroom, 24-hour room service, and beautiful views of the city. The Windsor Plaza Hotel has become the perfect choice for travelers visiting Rio de Janeiro. Its facilities were designed to meet expectations in comfort and convenience. Sitting in the heart of Copacabana, the hotel offers exceptional services, comfortable amenities, and relaxation after a busy day in Rio de Janeiro. Located in beautiful southern Rio de Janeiro, the Windsor Plaza is minutes away from downtown Rio as well as the beach. Amidst the bustle of the city, this hotel is the perfect place to relax after a full day of sightseeing. The Viale Cataratas near Iguassu Falls glistens with beautiful and modern architecture. 151 luxury rooms, complete with home-style comforts, superior amenities throughout the hotel, and convenient access to the impressive Falls, make this out-of-the-ordinary hotel one of the best places to stay in Iguassu. The comfortable and modern Viale Cataratas hotel is conveniently located near the ever-popular Iguassu Boulevard and offers quick access to the Thundering Iguassu Falls. A lively and fun atmosphere makes this the perfect place to stay while viewing this wonder of the world. The Pulitzer Buenos Aires is an innovative concept. This "Grand Boutique" hotel, combines personal hospitality, attentive service and contemporary, light-filled interiors which stand out for their originality and distinctive atmosphere. Clean lines, comfort, and superior amenities and service will make your stay in Buenos Aires unforgettable. Hotel Pulitzer Buenos Aires is situated at 907 Calle Maipú, a well-known street in the nerve center of Buenos Aires' downtown, just a stone's throw from some of the city's most charismatic sights. Beautifully situated along the well-known Ipanema Beach, this contemporary hotel boasts gorgeous views and extreme comfort. All 559 guestrooms are equipped with the signature Sheraton Sweet Sleeper bed, private balcony overlooking the sea, mini-bar, cable television, air-conditioning, and room service. The facilities include a swimming pool, tennis courts, beauty salon, fitness center, sauna, business center, three restaurants, and two bars. The hotel is located in front of Vidigal Beach and is only 15 minutes from Copacabana Beach. Beautifully situated on the famous Ipanema Beach, the Sheraton Rio Hotel and Towers features guestrooms that mimic their surroundings. Each room is adorned with rich color accents, air-conditioning, and gorgeous views. Located just steps away from the famous Copacabana beach and waterfront, Hilton Copacabana offers two sparkling swimming pools, a full-service wellness spa, multiple restaurants and bars, beachside service at Copacabana's waterfront, and comfortable and cozy guestrooms with spectacular views. Centrally located steps away from the ocean near Rio's top attractions, restaurants, and shopping. Bright and comfortable guestrooms feature plush bedding, oversized desk, Wi-Fi access (surcharge), air conditioning, cable TV, and in-room safe. Perfectly positioned on the beaches of the Copacabana in Rio, the Windsor Excelsior welcomes guests through a softly lit lobby and provides exceptional accommodations. With a restaurant serving International fare with Brazilian flourishes, the rooftop pool and poolside bar, and complimentary towels, umbrellas and lounge chairs for use on Copacabana Beach, the Excelsior provides all of the details and services you'd expect for the perfect stay in Rio de Janeiro. Situated right on the beaches of Copacabana, this comfortable and charming hotel offers a balance of modern and traditional atmospheres. After busy sightseeing, a view of the sunset from the rooftop pool is the perfect end to a day in Rio. Recanto Park features spectacular architecture that is integrated with the natural exuberance of an area set aside as a native conservation area. With sophisticated surroundings, comfortable guestrooms, and a wide variety of amenities, guests will enjoy a relaxing stay in Iguassu Falls. A prime location offering absolute ease of access for visiting Foz do Iguassu's main tourist attractions. All guestrooms feature wooden floors, air-conditioning, in-room safe, cable TV, mini-bar, and hair dryer. Belmond Hotel das Cataratas is the only hotel located within Iguassu National Park, with the world famous Iguassu Falls just a two minute stroll away. Amenities include two restaurants, bar, two pools, tennis courts, spa, shopping boutique, and business center. Located within Iguassu National Park, within a 2 minute walk from Iguassu Falls. Guestrooms are decorated in a classic Portuguese style, with colorful accents and dark-wood furnishings. Each room features paintings of the flora and fauna by Brazilian artist Ludmilla de Montes and traditional azulejos "painted tiles," designed exclusively for Belmond Hotel das Cataratas. The Bourbon Cataratas Resort Hotel is strategically located near the main tourist sites of Iguassu. Exclusive and professional staff take care of every detail. Located in Brazil on the border of Brazil, Argentina, and Paraguay, the Bourbon Cataratas is close to all main tourist attractions. Situated in the beautiful Recoleta district, this hotel combines European sophistication with the warmth of Argentinean tradition. This home away from home features a restaurant, bar, coffee shop, 24-hour room service, health club, pool, and courtyard. Located in one of the most elegant neighborhoods in Buenos Aires, the Recoleta district, the hotel is within walking distance of shops, museums, restaurants, and the famous Recoleta Cemetery. The hotel's 175 warm and spacious rooms feature classic and elegant décor with views of the bustling city of Buenos Aires. The Libertador is close to shopping and nightlife. The Skyline Pool & Health Club is a highlight of the deluxe facility. The top floor offers spectacular views of the city. The Libertador is located in the heart of Buenos Aires, close to shopping and nightlife. Renovations have transformed each room into a tranquil and beautiful space. These contemporary rooms offer luxurious linens and beautiful city views along with the comforts of modern living. Enjoy a panoramic tour of downtown Rio passing by the Sambodrome where Rio's famous carnival parades take place and stopping at the Metropolitan Cathedral. 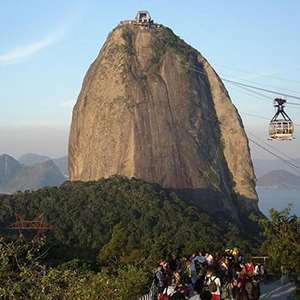 You will also take the cable cars up to see Sugar Loaf Mountain and its splendid views of Rio's beaches and more. During this tour you will have the chance to visit your choice of two of the most outstanding art museums in Buenos Aires. Choose between the National Museum of Fine Art, the Museo Isaac Fernandez Blanco, the Modern Art Museum, and the Museum of Latin American Art. 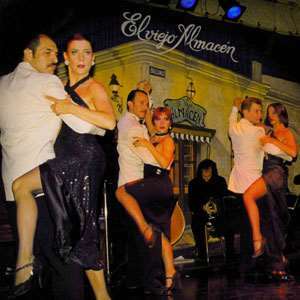 Enjoy dinner followed by a traditional Argentinian tango show at El Viejo Almacen founded in 1969. 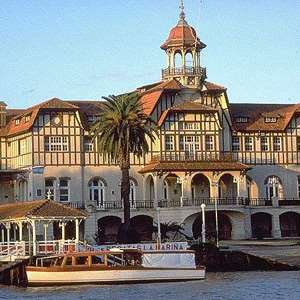 Enjoy a relaxing cruise along the innumerable channels of the Tigre Delta to see some of the hundreds of islands just outside of Buenos Aires. Monograms provides travelers access to a Local Host®, so you will have someone on hand to answer those vacation questions pertaining to Salvador, Brazil. No waiting in line at the concierge desk or trying to ask your waitress at breakfast directions to the shopping district. Simply ask your Local Host® about Salvador and you'll be on your way in no time. Plus, your Local Host® will share local Salvador insights and share suggestions for getting off the beaten path, leaving you more time to create lasting vacation memories that are yours alone. My name is Edi Moreira and I am a Local Host in Salvador Bahia, Brazil, my hometown. I am fascinated by this wonderful city because it is rich in culture, history, art and above all, great natural beauty. Here, people are very kind and friendly and welcome all visitors. As a guide, I dedicate body and soul to make all my guests feel comfortable and make their visit an unforgettable experience. I love the streets of Salvador that take you back in time. With more than a thousand houses, churches and monuments built since the 16th century, Salvador makes up the greatest collection of Baroque architectural heritage in Latin America. I am eager to share all of Salvador’s greatest sites with new visitors. Located in the São Francisco Convent, called the Church of Gold, this beautiful structure is the most ornate and lavish church in Salvador, with a minutely wood-carved, gold-leafed interior, considered the best example of Baroque architecture in Brazil. Giving weekly concerts in Pelourinho, the Ensaio do Olodum is one of the most famous percussion ensembles and a must see while in Salvador. It’s the perfect way to pick up on the intense spirit and energy of the Bahia culture. Concerts typically fall on Sundays and because they are so popular, tend to be on the crowded side, so be sure to keep a close watch on your personal belongings. If you’re lucky to be in Salvador over a concert, don’t miss this opportunity! This is a wonderful neighborhood of steep cobblestone streets, brightly colored colonial houses, and fine 17th and 18th century churches. Former residential area of Bahian noblesse, Pelourinho (Pillory) was also the place where slaves were tortured. Nowadays, declared a National Monument, it is also the stage of an ardent Afro-cultural movement and headquarters several Afro-Brazilian groups in search of their Black-African roots. Enjoy a dazzling hour of entertainment at the Bale Folclorico. Inspired by Brazil’s long and rich tradition of African and Brazilian cultures, this impressive dance team demonstrates cultural pride through athletic dance and spirited music. This dance company is also the only professional folkloric dance company in the country. This impressive museum, which displays one of the finest collections of Catholic art in Brazil, is housed in a 17th century convent – a magnificent building with much of its original furniture and fittings still intact. This museum complex brings together architecture and visual arts in a distinctly liturgical beauty. This large building that was formerly the Customs House, and now houses hundreds of small shops selling local handicrafts and art from all over the north and northeast of Brazil, a true Brazilian culture portrait. This is a complete residential complex of the 17th century consisting of a farmhouse, chapel and former slave quarters. Once a busy slave market, it now is home to the Museum of Modern Art. For warm, beautiful beaches and an afternoon of gorgeous views of the city and relaxation, take a short boat ride over to Frades Island where the water is impressively clean and you can escape the more crowded Salvador beaches. Historically speaking this is one of the most important churches in Salvador. Apart from being an architectural monument, it is the leading temple of devotion in Salvador, and the center for the annual “Festival of Washing,” considered the city’s second largest feast and celebration, after Carnival. Make time to visit Castro Alves Square – the heart of Salvador’s Carnival stage and featuring the bronze statue of the poet for whom it acquired its name. Standing in bronze and granite and signed by the Italian Pasquale Di Chirico, it is one of the highlights of the square and is an important symbol of Brazil’s independence from Portugal. Monograms provides travelers access to a Local Host®, so you will have someone on hand to answer those vacation questions pertaining to Rio de Janeiro. No waiting in line at the concierge desk or trying to ask your waitress at breakfast directions to the shopping district. Simply ask your Local Host® about Rio de Janeiro and you'll be on your way in no time. Plus, your Local Host® will share local Rio de Janeiro insights and share suggestions for getting off the beaten path, leaving you more time to create lasting vacation memories that are yours alone. My name is Bruno Mattos Linhares Junior, but everybody calls me Bruno. I was born and raised in Rio de Janeiro, Brazil. In spite of my extensive travelling, as a typical carioca, it is in Rio that I feel really at home: I need its sea, mountains, sun, breeze, light, architecture, and above all, its people. I have degrees in Civil Engineering, Philosophy and Theology, all of which haveadded to my interest in Arts, Geography, History and Tour Guide certification, and they all support my work as a Local Host. In fact, it is in my work as a host that I see everything coming together in my future! A 20-minute walk to the top of this fort on Leme Beach leads you to one of Rio’s best-kept secrets. Take in the 360-degree views of Copacabana and Guanabara Bay while sagui monkeys dart around. Housed in a renovated warehouse that was once an antique store, this bar in the hip Lapa neighborhood is considered to be the most beautiful in Rio. Chef Ana Castilho hosted a community event at her home in 1996 and never closed the door. Her Brazilian-fare restaurant takes up several rooms in her charming home and trickles out into the garden, where you can enjoy views of downtown Rio. The berimbau, a wooden string instrument, is one of the most popular Brazilian souvenirs. Rua da Carioca, dubbed “Music Row” due to its numerous music shops, is the perfect place to purchase one. For a break from the city, take a walk through this lush rainforest with 30 waterfalls and over 300 plant species. While the tourists flock to Ipanema and Copacabana beaches, head to this secluded beach for a little more space and beautiful mountain scenery. It’s also fun to watch the hang gliders descend to the landing strip here. Admire the colonial architecture and baroque churches before hitting the Uruguaiana Shopping District for local treasures. The soft Brazilian cotton is extremely popular. For a break from the glitzy and hedonistic side of Rio, take the streetcar to this charming, authentic village. Colonial houses have been converted to small inns and art studios, and the women are more likely to be in peasant skirts than halter tops. Most people stop at breathtaking Iguassu Falls on their way from Rio to Buenos Aires, but don’t just visit the amazing waterfall. The Misiones Province area has much to offer, including the 17th-century Jesuit ruins. If you want to travel back through time and eat in the past, then Colombo is the place for you. This magnificent Continental café has changed little since opening on September 17th, 1894, and it retains an air of restful elegance on its upstairs restaurant balcony. Enjoy a paradise of plants and trees from the four corners of the earth. Founded in 1808, it spreads over an area of approximately 340 acres. It has over 5,000 species of plants, including the impressive Imperial Palms planted in 1842. Rio’s longest beach, it stretches over 18km along Av. Sernambetiba. A hot spot on the beach is the area around the Barraca do Pepê, a bar named for a famous Brazilian hang glider who died competing outside Brazil. This is a charming 2km long inlet at the end of Sernambetiba Ave. Sheltered by a large rock, Recreio is safe for swimming. A secluded sandy strip 700 meters long, Prainha is a surfer’s beach. It is an Environmental Protected Area. Enjoy the reddish sand in an unspoiled setting. The sea is often rough here. It is also an Environmental Protected Area. Out beyond Barra, the vegetation is almost virgin. If you have time, visit Prainha and Grumari beaches—much loved by the surfers. The vegetation is protected, and building is not permitted. Nearby is the estate where the famous landscape artist, Burle Marx, lived. This is open to visitors and is perfect for an ecological/photographic safari. It contains plants from all over the world, though the emphasis is on wonderful examples of Brazilian flora. There are open fairs, such as the Hippie Fair in Praça and General Osório in Ipanema, where all sorts of handcrafts, art, and leather goods can be found. At the Babilônia Feira Hype (in the Jockey Club in Gávea), every fortnight the booths are loaded with clothes—mainly for the young. A typically Brazilian event is the open street market—selling fruit and vegetables—which moves around from borough to borough, so a little local knowledge is needed to know when one is operating near your hotel. The show of fruit and greens is spectacular, and prices are reasonable. Monograms provides travelers access to a Local Host®, so you will have someone on hand to answer those vacation questions pertaining to Buenos Aires. No waiting in line at the concierge desk or trying to ask your waitress at breakfast directions to the shopping district. Simply ask your Local Host about Buenos Aires and you'll be on your way in no time. Plus, your Local Host will share local Buenos Aires insights and share suggestions for getting off the beaten path, leaving you more time to create lasting vacation memories that are yours alone. Born in Buenos Aires but having grown up under a very strong European influence, my father’s profession obliged the whole family to live in different countries. This provided me the opportunity to study foreign languages and at the same time be in touch with a wide variety of cultures, which has fostered my love of nature and especially people. This passion, together with a strong service vocation, made me embrace the tour guide profession, with which I’ve been involved since I was almost a teenager. I love the city where I was born, its wide avenues and parks, its cultural life, and every single corner where I can find even a simple story and share it with those that pass by throughout my daily life. From my point of view, Buenos Aires has everything, and everything here deserves to be seen and shared. There are many tango shows for tourists in Buenos Aires, but this tango salon is where the locals go to strut their stuff. Have fun observing this graceful dance, but don’t be surprised if an instructor tries to coax you onto the floor. Note that this is not a Tango show, but a Milonga salon where local people go to dance and drink. Note: open from midnight and not all days of the week! You can stand before the Casada Rosada and see the balcony where Evita addressed her fans, and you can see the tomb where she was laid to rest in the beautiful Recoleta Cemetery. 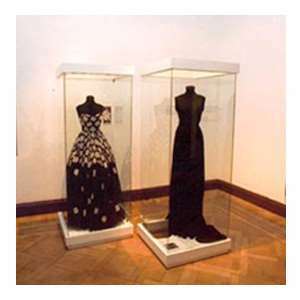 But to truly understand this controversial woman, visit the Museo Evita where her life story is told through her personal objects. Held every Sunday in Plaza Dorrego, this outdoor market is full of small antiques and crafts. Normally free live music and tango dancing complete the experience. The market does not take place when it’s raining. Located in the exclusive Recoleta district of Buenos Aires, the Alvear Palace is one of the most luxurious hotels in South America. Step into the Lobby Bar to admire the elegant surroundings while you relax with a cocktail. Perhaps enjoy a selection from their extensive cognac and whiskey list. Located in the exclusive Recoleta district of Buenos Aires, this hotel opened its doors in 2006. The original building was the residence of the wealthy Duhau Family and was constructed with imported material from Europe. The combined old and new architecture is connected with magnificent terrace gardens. You may enter from Alvear Street or Posadas Street. The average citizen in Argentina consumes 130 pounds of beef per year. If you want to fit in with everyone from local residents to government VIPs, head to this famous steakhouse dating back to 1905. Known worldwide, Cabaña Las Lilas serves the nation’s specialty like no one else. 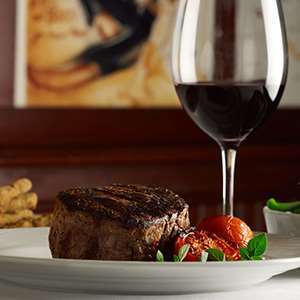 Every night, local and international leading figures of the 20th century flocked to La Cabana—the place to be seen—to enjoy its famous atmosphere and to sample some of the world’s finest beef. Now, it has relocated to Buenos Aires’ fashionable Recoleta area amid many boutiques, 5-star hotels, and beautiful gardens. The restaurant’s original interior has been lovingly recreated with Gaucho-style, large, open fireplaces and many original design details, including heavy-iron ornaments, leather, and burnished-copper utensils. Taste Jean Paul Bondoux’s haute cuisine in Buenos Aires! 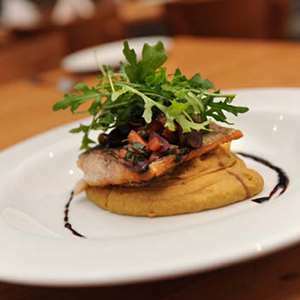 La Bourgogne is a kind of gastronomic mecca for gourmets. It offers light meals of fish and beef during the day and the symphony of his creations in French regional specialties during the evenings. There is also the famous boutique of delicatessen products, including top cheeses, on the premises. It is open from Monday to Saturday, mid-day and evenings. Whether you make it to a performance at the majestic Teatro Colón or not, you’ll want to visit its equally famous Gran Café Tortoni. Sink into one of the red leather chairs, order the sidra, its signature alcoholic cider, and enjoy the 19th-century décor like Albert Einstein and Josephine Baker once did. If you’re looking for a Buenos Aires neighborhood off the beaten path, look no further than the Chinatown located here. Considering most locals don’t even know it exists, you won’t bump into any tourists while exploring its shops and restaurants. Shopping in the “Paris of the South” is a delight, and you won’t be disappointed with the shops and boutiques here. Exquisite leather shops line Calle Florida, and many will custom-make something for you during your visit. Buenos Aires is known for its nightlife and whether you want dinner, drinks, dancing, or all three, you’ll find plenty of hot spots on this street. This odd-looking building, once the tallest in South America, has just recently been opened to the public. It offers sweeping views of the city from its unusual tower. Don’t miss the trendy neighborhoods with excellent designer shops, cafés, and restaurants. They are recommended during the day and evening!